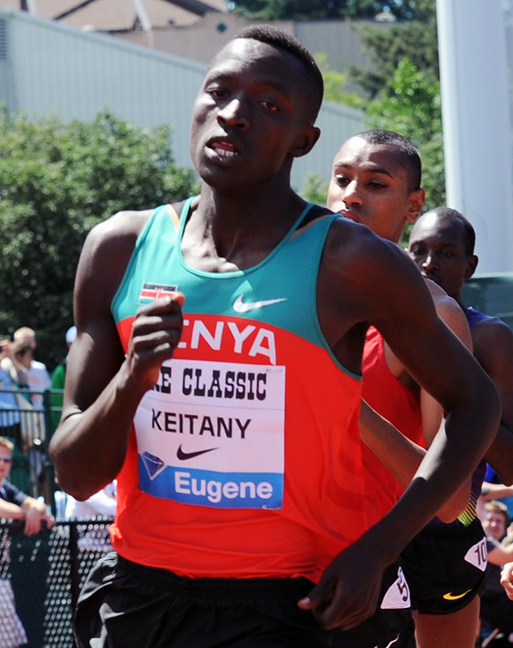 Although Haron Keitany is already a distinguished international performer, he is a relatively new addition to the KIMbia roster — but he has very quickly shown why we are so proud to have him in our family. On Sunday in Hengelo, the man they call “Land Cruiser” clocked 3:31.86 to take second place behind Mohammed Shaween, a mere four-hundredths away from the win. Left in his wake were thirteen men, including a sub-3:30 rising star in Silas Kiplagat, and the reigning Olympic Champion (steeple), Brimin Kipruto. The time is Keitany’s third-fastest all time, and was just a few tenths away from Nixon Chepseba’s world lead. One day later, Lineth Chepkurui won Bolder Boulder by over four seconds, claiming an enjoyable victory in the town where she sets up shop for her US season, each year. Along with runner-up Mamitu Deska, Chepkurui broke away from the rest of the field in the third mile, only securing her win over the Ethiopian — and two-time defending champion — with a final kick. Deska has won marathons in Dubai and Houston, but Chepkurui’s own formidable strength — and her aptness at shorter long-distance races — brought home a win in the final quarter-mile of the 10k race. After taking 3rd in 2006, Monday’s win was Lineth’s first in the city where she makes her US training home. It was an experience she particularly savored. Next up, KIMbia will be on the track at Hayward Field for the Prefontaine Classic, the first domestic stop on the IAAF Diamond League.